Fiproguard is a fast acting, squeeze-on topical protection against fleas, ticks and chewing lice. 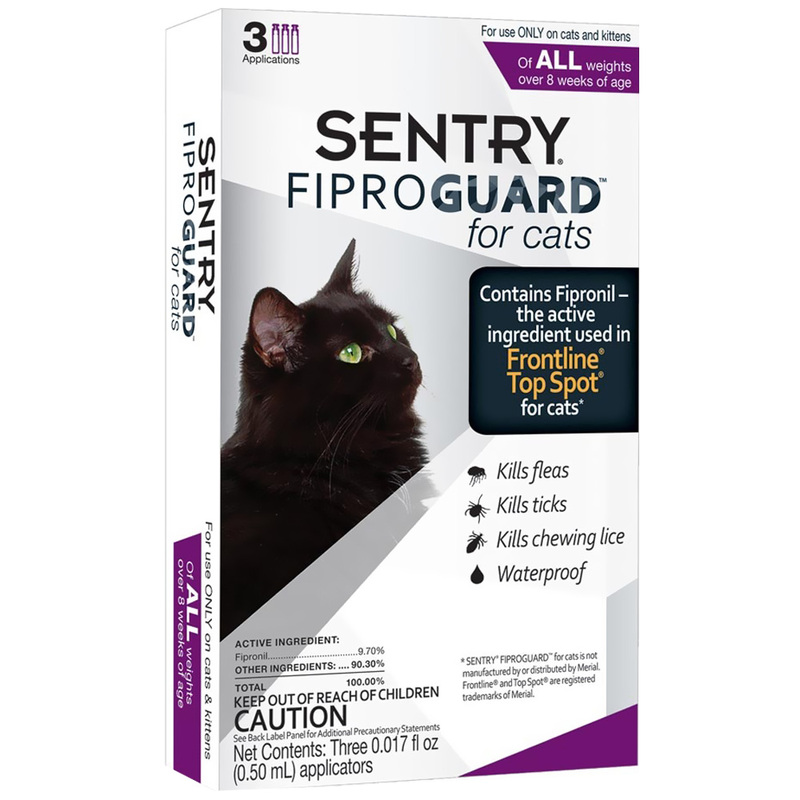 Fiproguard Plus is the first approved generic equivalent to Frontline Plus, and contains Fipronil, the same active ingredient used in Frontline Top Spot for Cats. Fiproguard Plus kills ticks which can cause sarcoptic mange. It is also waterproof, staying active after baths. Fiproguard Plus offers premium protection against petsts without the premium price. For use on dogs over 8 weeks of age up. Contains firponil which is the same ingredient found in Frontline Top Spot. Apply one tube as a spot on the dog's back between the shoulder blades. Frequency of Application: Use Fiproguard monthly for complete control of flea, tick and chewing lice infestations. Apply monthly to control ticks, and chewing lice. Fiproguard remains effective, even after bathing, water immersion, or exposure to sunlight. Allow treated area to dry thoroughly. Do not reapply for 30 days.